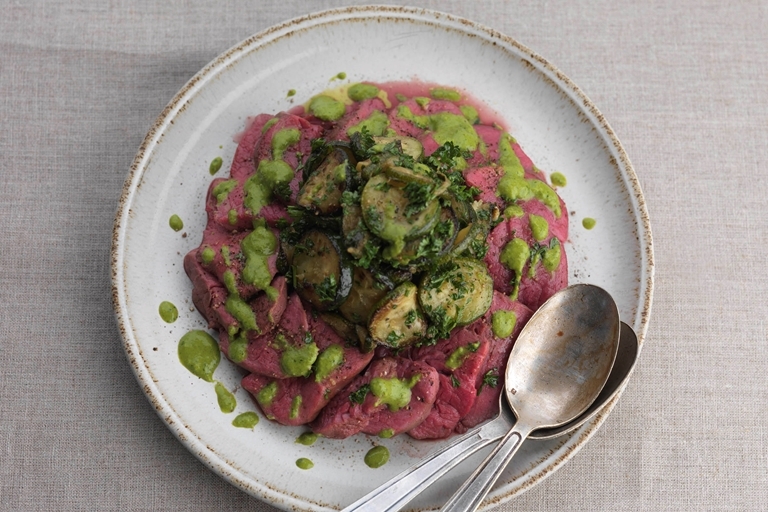 The vibrant green of the salsa verde makes for a striking contrast to the pink beef in Geoffrey Smeddle's excellent beef fillet recipe. This simple beef dish, developed for the Sunday Herald, is fantastic when served al fresco on a balmy summer's day. The spinach, basil, parsley, anchovies and capers make such a flavoursome sauce, you may want to make extra to use with other meals.